By Scott Gilfoid: Unhappy with the 25 percent purse split and the likelihood of having to travel to Bulgaria for the IBF heavyweight eliminator match against Kubrat Pulev, Dillian Whyte and his promoter Eddie Hearn haven’t entirely given up on the idea of facing Luis Ortiz in a WBC title eliminator bout. However, they want to be ensured by the World Boxing Council that they’ll get to be WBC heavyweight champion Deontay Wilder’s number one mandatory challenger if they beat the 38-year-old Ortiz. Right now, Dominic Breazeale is Wilder’s mandatory challenger. If the WBC is going to give Whyte special treatment, it’s going to look bad. Breazeale is already the WBC mandatory. If the sanctioning body takes that away to give to Whyte, won’t that look like they’re giving him favorable treatment? I’m just saying. “Ortiz has done it before of course, and he’d want a lot of money but if we are guaranteed to be the WBC mandatory, not the second mandatory or whatever people have been talking about, Dillian would jump into that fight straight away,” said Hearn to skysports.com. I’m not sure what Hearn is talking about, because the WBC has already made Breazeale Wilder’s mandatory. They’re not going to let Whyte cut in line if he beats Ortiz, and that’s a big IF. I don’t think Whyte beats Ortiz. Whyte wants to fight on July 28 in London, England. Pulev’s won the purse bid, and they want to have the fight take place in Bulgaria in August or September. They’re probably not going to want to give Whyte the hometown advantage, given that they won the purse bid. If Whyte refuses to fight Pulev in Bulgaria, then he’s going to need to take the option of facing Luis Ortiz. However, if Whyte does that, he’s not going to be made the immediate WBC mandatory if he beats him. It’s not going to work like that. 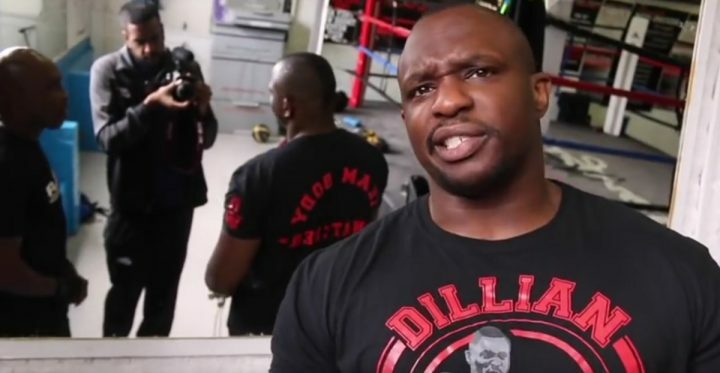 Whyte will have to wait until Breazeale gets his shot, and we’re probably talking about Dillian needing to wait until 2020 before he gets his title shot against Wilder. As such, if Whyte is in a hurry to fight for a world title, then he’ll need to go the IBF route and fight Pulev in Bulgaria. Whyte just needs to tough it out and do the best he can. He might lose to Pulev, but that’s how it goes sometimes. “Ortiz is a much tougher fight than Pulev but a great fight and one that I think will really capture people’s attention,” Hearn said. Whyte will probably make more money fighting Ortiz, but he’ll have a bigger risk of losing and he’ll still likely need to wait until 2020 before he gets the fight. I remember when they were saying that Whyte was willing to fight any fighter no matter where the fight took place. Now it looks like he’s not willing to leave the UK to fight. Gee, who does that remind me of? It’s nice that Whyte wants Pulev to fight him in the UK, but it’s not realistic. The guys that won the purse bid wants the fight to take place in Bulgaria. They wouldn’t have gone through the trouble to place the winning bid if they wanted to stage the fight in the UK. Heck, they might as well have let Hearn win the bid if that were the case. It sounds to me like Whyte and Hearn don’t like the idea of fighting Pulev or Ortiz. If Whyte don’t want to fight Pulev or Ortiz, then he needs to have Hearn setup a fight between him and Anthony Joshua without him becoming his IBF mandatory challenger. Whyte can be a voluntary challenger to Joshua. Of course, that’s going to mean less money for Whyte, but oh well. If you’re reluctant to fight Pulev or Ortiz, then you’re stuck being the voluntary challenger. The IBF will have to look for another opponent to fight Pulev in the final eliminator if Whyte decides he doesn’t want to fight him in Bulgaria. The next highest ranked guy in the IBF’s rankings is Jarrell ‘Big Baby’ Miller, but I doubt that he’ll fight Pulev, because he’s going to be getting a world title shot against Joshua soon. Miller doesn’t need to fight for the right to get a title shot against Joshua. What we’re probably looking at is Pulev fighting someone like Carlos Takam. I’d favor Takam in that fight, but he already fought for a world title against Joshua last October. We’re talking about Takam potentially getting another title shot without doing much of anything to earn it other than beating Pulev. If Whyte wants a guaranteed title shot against Joshua or Wilder, then he’s going to need to take a career risk by fighting Ortiz or Pulev. There’s no way around fighting one of those guys if he wants it to be a guaranteed shot. I’m not sure what the hold-up is with Whyte. Back in 2016, he supposedly was willing to fight anyone, but ever since his questionable 12 round split decision win over Dereck Chisora in that year, he’s suddenly become very careful and hesitant about having to fight the top contenders. Whyte wants a world title shot against Joshua or Wilder, but he’s not displaying the motivation to work for those title fights. Ortiz would be more than happy to take on Whyte. He’s not afraid to fight him, if the money is fight. Whyte would gain more respect from the boxing public by fighting Pulev than he would if he faces Pulev. Unfortunately, beating Ortiz will only make Whyte the secondary WBC mandatory challenger to Wilder. There’s nothing that will change on that end, the sooner Whyte and Hearn realize that the better it will be for them.